Our understanding of the world is increasing – thanks to science and the scientific method. A good science education gives our students a better appreciation of themselves and the world around them. To this end, our students actively participate, actually doing science, not just passively learning science ideas from textbooks. Students are encouraged to think about things differently and there is rarely a lesson in which they are not challenged in some way - what a great subject to study. Encouraging wonder is key to learning science and opportunities are provided to allow students to marvel at science in action. 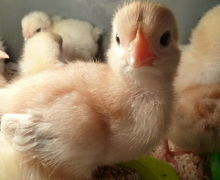 Whether that's watching chicken eggs hatch (and holding the chicks - when they are ready, of course) or seeing wild birds raise their young (via a live video link to a nest box), students benefit from a wide range of experiences. In addition, Science is best done as part of a team. Students learn the value of working with others, something the world as a whole should reflect upon. At the start of the year, Year 7, 8 and 9 students work together while competing against other teams. 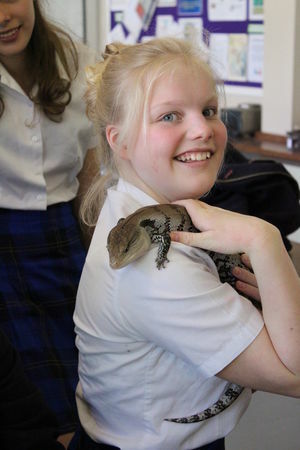 Key to Year 7 and 8 Science is the wide variety of experiences available to students. From the practical to the creative, these help boost practical and thinking skills. Examples of these experiences can be seen in the image gallery below. As well as laboratory practicals, visitors enrich our students’ experience. Hands-on experiences with mini-beasts and birds of prey are always memorable, and give a visual demonstration of variation and adaptation. In Year 8, as part of the Digestion topic, students might be invited to eat an insect – a healthy source of protein! There are also opportunities to be creative. In Year 7, students make Energy Islands to reflect the range of energy sources available to us. They often go beyond the brief to produce extraordinary projects. Apart from the excitement of learning how to light a Bunsen burner, Year 7 students are trusted to look after a raw egg for a week, encouraging responsibility and bringing to the surface some strong parental instincts! Students really go to town on the optional decoration, showing high levels of creativity and motivation. From Year 9, Science is separated into Biology, Chemistry and Physics, and students begin to make distinctions between these different branches of Science. Topics are studied in more depth and require students to apply knowledge from earlier teaching.